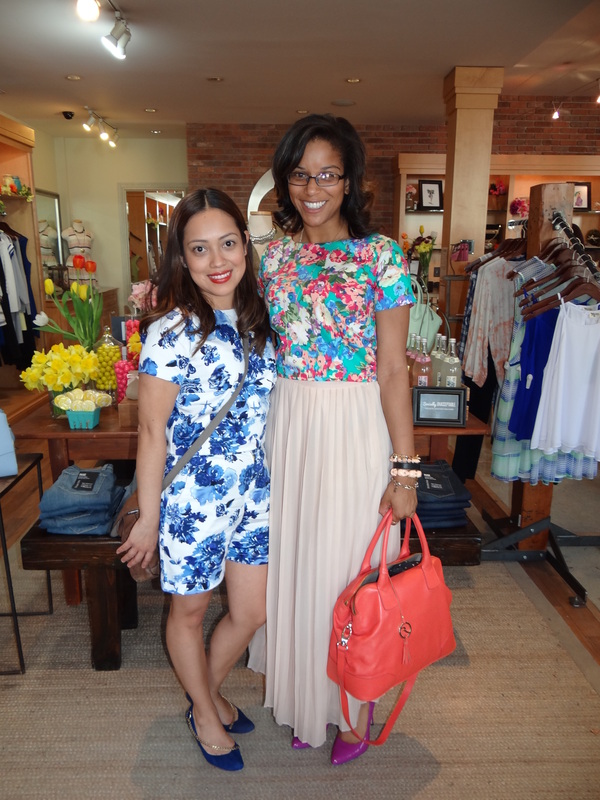 Urban Chic helped us jump into Spring with a VIP Spring Fashion Fete at their store in Georgetown. 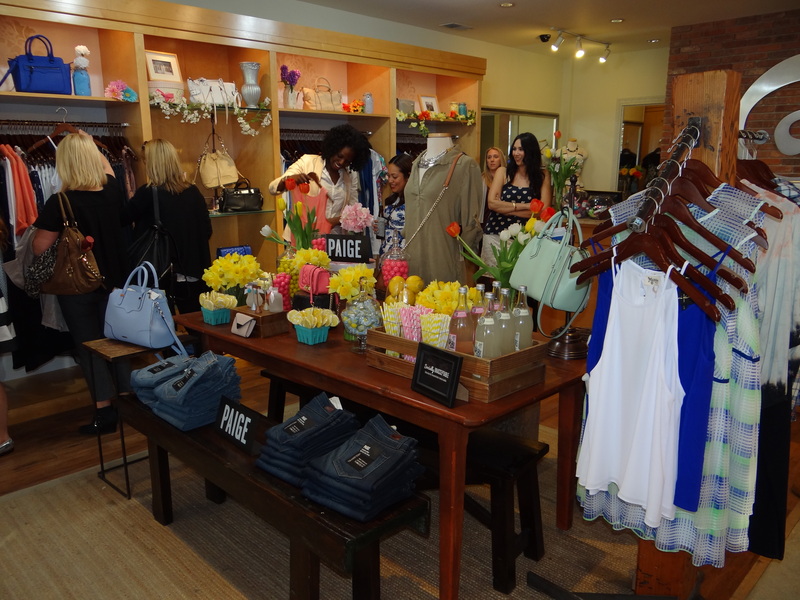 We were greeted by a Spring ready table display by Socially Unacceptable and they did a great job! Looked good enough to eat or wear! Everything was bright and festive, making hard to pick just one new piece!! Not only did we all get to browse great fashions, I also had the pleasure of meeting the woman who designed my top!! Silvia Huezo of Red Hue Boutique was my fashion inspiration/twin for the night in the blue and white version of my top (well really her top!). I love it both ways! 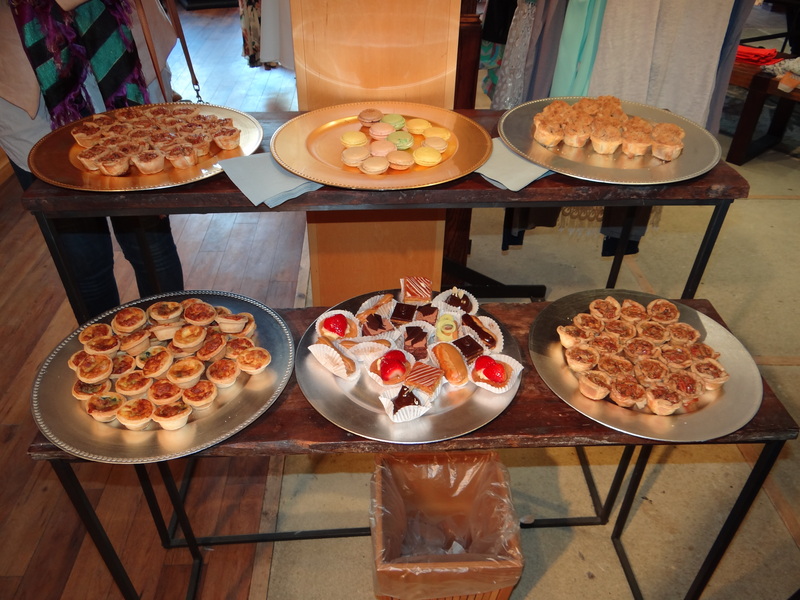 It was a great night with bites from Pie Sisters DC and Patisserie Poupon that were hard to resist! 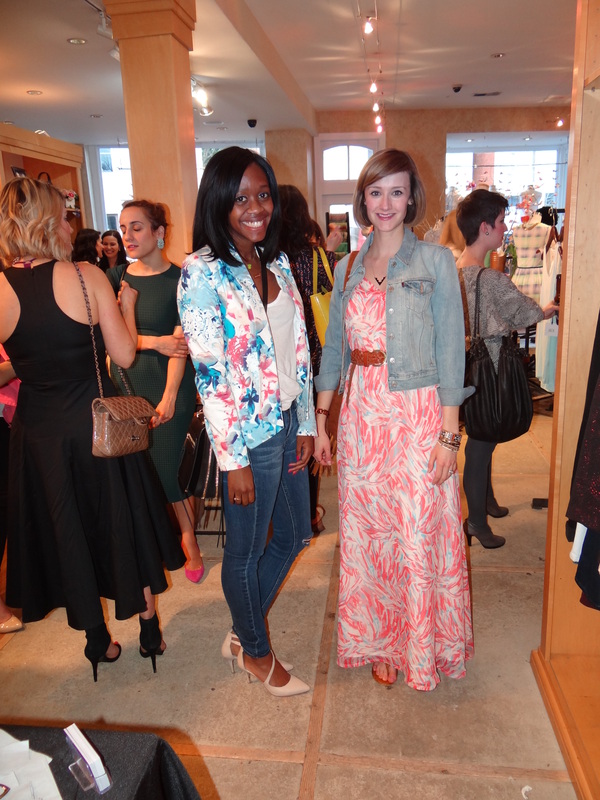 It’s always great to run into fellow bloggers like Alicia Tenise of her self named site and of E of District of Chic who always looks fashionable! 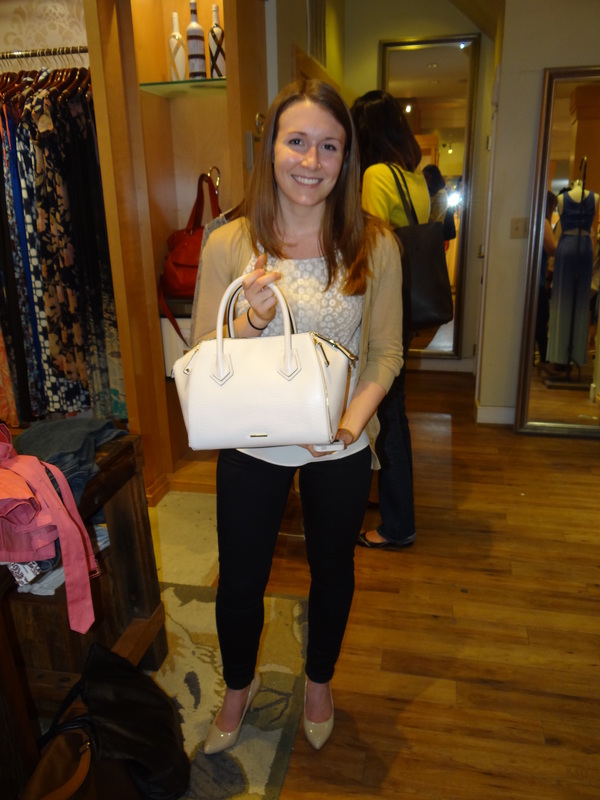 And Caroline who was the big winner for the night and went home with her new Rebecca Minkoff she won in the raffle!! Congrats!! It wouldn’t be an event without some live tweeting!! Had a great time talking with new and old friends, Baille Gelwich, Heather Menis, Paul Ashe, and Sophie Blake! 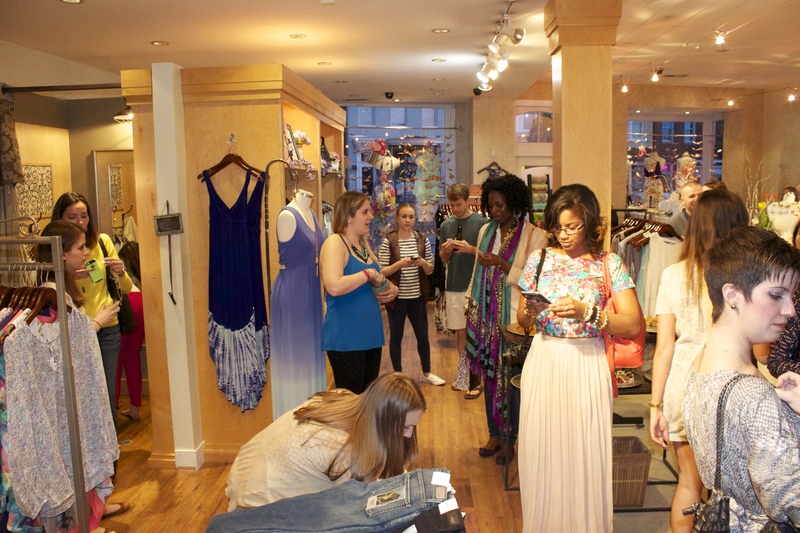 It was a great night of mixing, mingling and shopping. 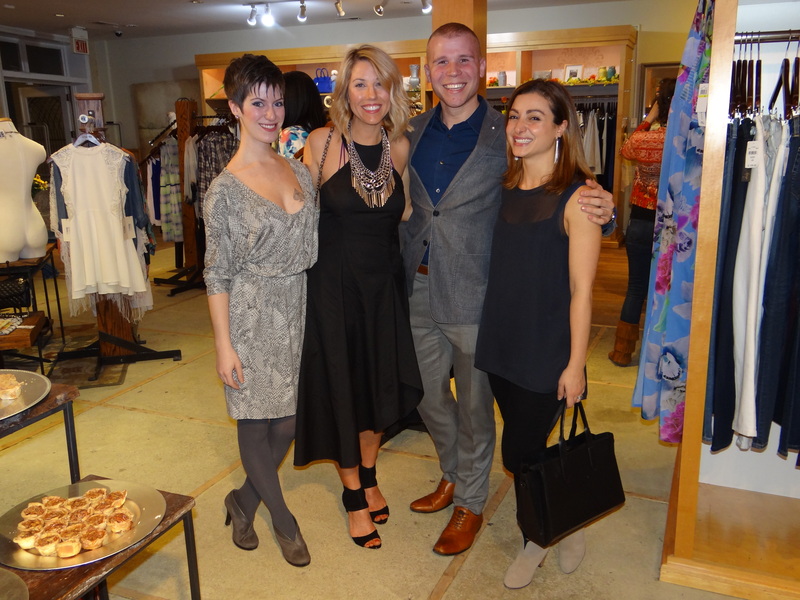 Thanks so much to Urban Chic’s owner Lindsay for inviting us all out!! 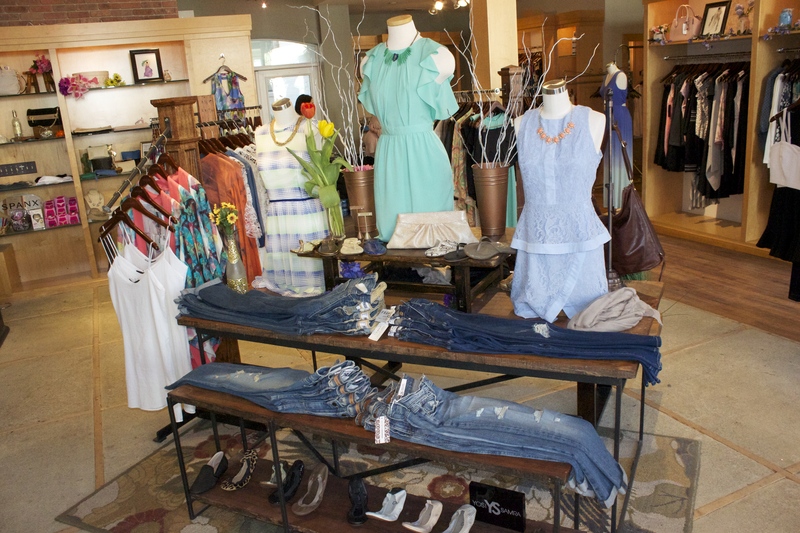 Make sure you go visit Urban Chic and pick up something for yourself for spring!! For more pictures from the event visit our Facebook page! !